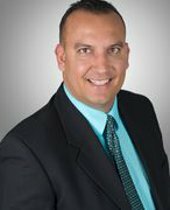 Over the past three years Tyler Silva has educated, guided and sold two separate properties for our family. His can-do attitude and work ethic was the reason our properties sold quickly and that we received the best possible price. Above the skills required to work successfully in the field of real estate, Tyler communicated constantly with us alleviating our fears of the unknown. His calm and gentle demeanor was key in our older parents trusting in the process. Tyler Silva has our utmost respect and gratitude and our highest recommendation. 11/09/2016 - hdrogue Sold a Single Family home in 2016 for approximately $400K in Lemon Grove, CA. I have had a wonderful home buying experience with Tyler. He was very responsive and asked important questions to help me make the right choice. He is super friendly and knows San Diego well. I would definitely recommend him to anyone looking to buy or sell. 11/05/2016 - zuser20140424173103073 Bought a Single Family home in 2016 in Logan Heights, San Diego, CA. Tyler is very knowledgeable about San Diego real estate, but in particular, the coastal towns of OB, PB, and Point Loma. He has shown me numerous houses and lots for sale (and some that weren't even listed yet which is a huge plus). Tyler knows his business which is why I referred him to a friend who hired Tyler and purchased a home in 2016. Tyler continues to show me properties, both for investment and for living. Once I'm ready, he will be the one who executes the transaction for me. He has excellent negotiation skills and knows most agents in the area, which definitely gives his client a hand up on the competition. I hate to share him with the rest of you, but I would feel bad if I didn't. Happy home buying San Diego! 10/26/2016 - Chris Mova Showed home in 2015 in Point Loma Heights, San Diego, CA 92110. Tyler is very knowledgeable and professional. He's outgoing, friendly and very easy to talk to. He answered all our questions in a way we could understand. Tyler was always available to us through the whole process. We would highly recommend him and would use him again in the future. 10/26/2016 - jgould619 Bought a Single Family home in 2015 for approximately $350K in Plumas Lake, CA. I highly recommend Tyler Silva. I am a loan officer and have worked with Tyler on several transactions. He is very knowledgeable on the real estate market and always has his client's interest as the number one priority. His knowledge and experience are essential to ensure the home buying process goes smoothly. Tyler is also a hard worker and very professional. Home buying is a big decision. It is important to have a realtor like Tyler when buying your home. I've had the pleasure of working with Tyler on many occasions as an affiliate. He is very knowledgeable and extremely easy to work with. Through his professionalism and easy going personality he was able to build a great network of people around him to ensure a smooth transaction for his clients. I would definitely recommend his services to anyone looking to buy or sell. We have had the pleasure of working with Silva Coast Realty on a couple of transactions now. Our last transaction with Tyler happened to be an extremely challenging one, with a mutual client who had various, unexpected issues arise during the process. We ran into a dead end on our end and feared that our borrower would not be able to purchase the home, but Tyler was able to skillfully negotiate with the seller's side to make the transaction work for everyone. Sometimes in this business it is unfortunate that people can work against each other, but Tyler truly understands that everyone is on the same team. Tyler is professional, respectable, reasonable, personable and simply an authentic individual. Tyler is always professional and puts his clients needs before all else. He is hard working and dedicated to find the best possible homes and solutions for his clients. Call Tyler if you are looking to Buy or Sell! I am a commercial real estate agent and have been working with Tyler for several years now. He has proven to be knowledgeable, accommodating and very pleasant to work with. I would absolutely recommend his services. Tyler is a true professional who is extremely knowledgeable, effective, and a pleasure to work with. Dominant player in the San Diego real estate market who you want on your side. I would refer any of my friends or family to him and know they are in good hands. Last but not least, super genuine and trustworthy. Tyler is very personable and easy to work with. He has helped many of my clients with complex sale transactions and easy turn key sales. Call him for all of your real estate needs. Tyler made the buyer process clear and was very responsive to all my questions and concerns. I really felt as though he had my best interests in mind and I would recommend him to anyone looking to buy or sell a home. Great team, great service! Thanks Tyler. This is the second property Tyler has sold for our family. He is honest, hardworking, sincere and extremely personable. The first property Tyler sold, my parents were located within the city. The second property they had relocated out of state and Tyler made the experience painless. He kept all of us informed throughout the process and represented us in a most professional manner. Without a doubt, I would recommend Tyler to each and every friend and/or family member. The Silvas and their crew prepared the real estate in a professional manner: the rooms were furnished with furniture that showed them in their best light, and the yard was prepared as they advised us. The sale was accomplished in a most satisfactory way with the final price being the asking price. The escrow was difficult but was handled to our satisfaction by the company the Silva's recommended..